With more than 550 locations across six continents, Hilton Hotels & Resorts provide an authentic and contemporary experience for guests worldwide. Hilton Hotels & Resorts remains the stylish, forward thinking global leader of hospitality – and we help make traveling easier with our smart design, innovative restaurant concepts, authentic hospitality and commitment to the global community. 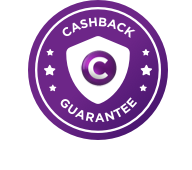 Expected cashback will initially report at $0 and will be updated once stay has been completed. Rewards are not payable on any expenditure outside of the room rate. (i.e. room service, in-room movies, parking, dry cleaning, etc). Rewards are not payable on the following rate types: negotiated corporate rates; negotiated group rates, including blocks of rooms, meeting group rates, convention group rates, leisure group rates; government rates; HHonors (Hilton Worldwide loyalty program) redemption bookings; employee or industry rate (Travel agent rates, airline rates etc); promotional rates in conjunction with Hilton partners or certain corporate marketing offers.